Celebrate the sound of a nation and a generation coming of age! This dynamic 30-minute show is a Rock 'n' Roll hit parade that will instruct as well as it entertains, as you explore the cities, streets and neighborhoods where the music was born. 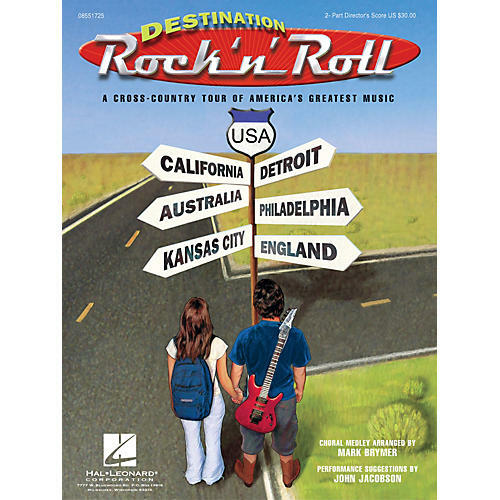 Dialog, choreography from John Jacobson and a hot accompaniment track make this show a super choice for elementary through high school!Available separately: 3-Part Mixed Director's Score, 2-Part Director's Score, 3-Part Mixed Singer's Edition, 2-Part Singer's Edition, Preview CD, ShowTrax CD. Performance Time: Approx. 30:00.